Clearly written and fascinatingly illustrated, Tourists at the Taj describes the conflicting narratives which surround the site. For some the Taj is an evocative symbol of the colonial past. For others it is a symbolic centre of Islamic power. For many of the thousands of tourists that visit it each year it is simply a monument of love. 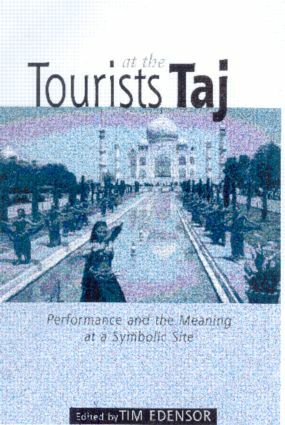 The author shows how tourism can be seen as a performance and the tourist site as a stage on which tourists are directed and rehearsed but also able to improvise their own cultural rituals.